When digital marketing was hyped – so many people and businesses jumped onto the boat. That is a good thing! Sadly there are some even today who are doing some digital marketing but cannot tell the ‘head or tail’ of it. If you are among these people, here are a few basics on digital marketing: it is still marketing but in a measurable way. The goal of marketing is to grow a business by either increasing the number of customers, or increasing sales. When your digital marketing does not achieve any of those in a measurable way, we cannot call it marketing. We may need a new name for such activities. The most basic thing that digital marketing efforts should yield are sales leads. How can businesses generate sales leads online? 1. Create a lead magnet. A lead magnet is something that is valuable that a business gives away to potential customers in exchange for contact information. Common examples of lead magnets are industry reports, guides, event tickets and coupons. Lead magnets vary according to the business. For example, when marketing a conference, the most common lead magnet is the program outline or course content. Anyone who is attracted to that information has some level of interest in attending the conference. Another example of a lead magnet is a daily dental routine that a dentist can be giving free on their website. The great news about generating leads is that there is no regulation in any country that can restrict any business from generating leads online. This means that any business, regardless of size or industry, can have effective lead generation online. 2. Exchange Value for contacts. It costs money and time to create a very good lead magnet. A report by Social Media Examiner, which details usage of social media in the world among other things, is a good example of a lead magnet. However, that report costs money and time to create. Social Media Examiner then gives such a valuable report free in exchange for contact information. The company runs one of the World’s top social media events and offers training online. Anyone who downloads that report is a potential client for either the conference or the training. After gathering many contacts of the people interested in what you have to offer, it is important that leads nurturing be practised for increased conversion. Following our conference example, lead nurturing involves increasing their interest in attending the conference. That may include details like summaries of some of the talks, popular people who will be attending the conference and the number of tickets remaining. There are two ways to do lead nurturing online. The first method is through sending emails triggered by their activities around your offering. When a lead takes a step towards conversion, they will receive an email. For example, if they add products into the cart but do not check out, a checkout reminder email will be send. The emails could be send periodically as well. The second method of lead nurturing is to use retargeting Ads. In this case, the business begins to ‘follow’ the user everywhere online with their advert. When they go on social media or visit a news website – the conference Ads will be there to remind them to take action. As lead nurturing is taking place, there is need to qualify the leads through scoring the actions that they are taking. When they open links in the email award them some points and when they share the link on social media add some more points. In a list of thousands of leads, it is then possible to create a list of those who are highly interested in what’s in the offer. Some corporates assign a human salesperson to take the high scoring leads and help them make the decision. The point here is not all leads that come through the website or landing page are the same. Some will buy now, others later while some remain undecided. Aggregating the leads will make the business focus on the leads that are likely to convert based on their interaction with the emails, website and social media. It is sad that more than 80% of the corporate and business websites in Africa do not allow people to take any action towards becoming a client. Other than the old ‘Contact Us’ form and some phone numbers – there is no way for clients to show interest in what the business is offering on their website. The most common objection is that ‘we are not ready to process online transactions ’. Well, that is fine but there are other ways to record conversions online. Allow clients to place orders for products. When the sales team gets the orders, they then confirm stock availability and ask for proof of payments. Clients can then collect their order or get it delivered to a location convenient for them. Allow clients to book meetings with consultants. Banks and health practitioners are not allowed to offer their services online in some countries in Africa. To go around this, they may end up allowing clients to make appointments for the meetings online. Allow clients to ask for a call from the website. In this case, a client is able to leave a call me back request with some context for a salesperson to call them. So why are they not doing it? The short answer is that there is very little investment made towards digital marketing at continent level! People just do not know! They are neither dumb nor backward. Here is your opportunity. Would you like to learn more on this? I am inviting you to attend a short, value-packed Basic Digital Marketing Training on the 17th of March (from 9 am to 12 pm) at B2C Coworking – Batanai Gardens in Harare, Zimbabwe. 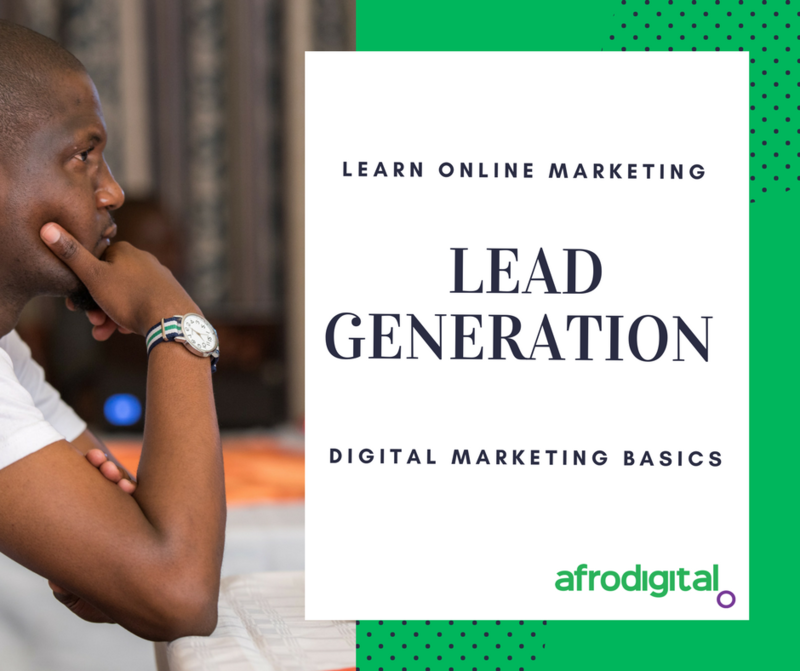 Whether you are a beginner or an advanced digital marketer, there is something for you in the training. Register for the training here. Opportunity to practicing professionals on how to do specific digital marketing elements. Starting your journey to become a professional digital marketer. You can learn more about the training here. I hope to see you there. Very well written article. I learnt a lot from this and I wish people with businesses could see this. It would push their businesses to the next level.